The tractor had to do the job today,to press down all the sharp edges from previous trainings with the sled dogs. +1 degrees C yesterday and then when it freezes 7 today, that creates hard edges. 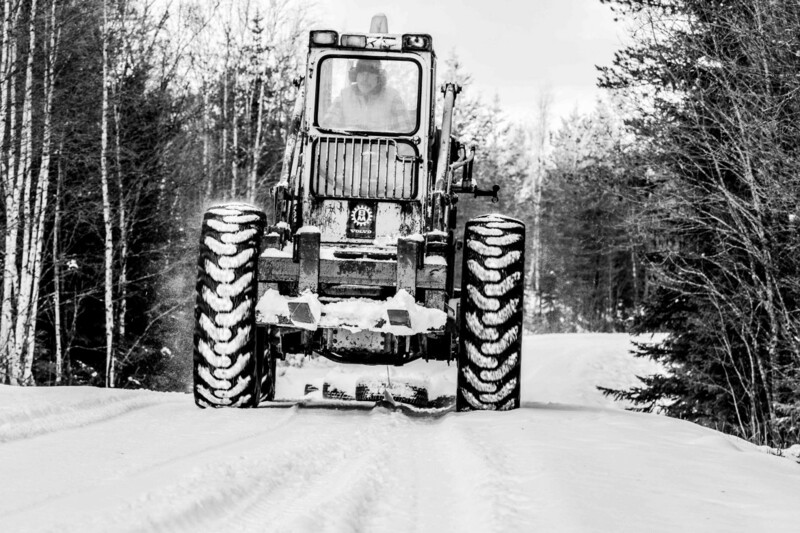 We´re blessed to have both the ATV with crawlers on, the Viking snow mobile and the tractor, to help with which ever trail needs prepared. We are still training on the ATV trail, however tonight we will go and press the snow trail for the first time. We have now 25cm of snow, and it should be enough for a good bottom.